ISABELA, Philippines – Joan Calamayan gathered with around 50 other young women at a bright green community centre in the Philippine village of Kalabaza. Many of the women had walked from far-flung villages to attend the day’s event: They had come to learn – and gain access to – about family planning. Rows of women filled the open-air basketball court. “Today we are going to talk about how to plan the timing and size of your families,” announced Benjamin Lucas, a reproductive health facilitator. Around him, the women and their families listened intently as he discussed different types of contraceptives. She is not alone. In the Philippines, 49 per cent of unmarried, sexually active women and 17 per cent of married women have an unmet need for family planning, according to a 2017 demographic and health survey. Mr. Lucas’s event was part of a UNFPA-supported project, launched in August 2017, to provide women with access to an expanded variety of contraceptive choices. Access to a wide range of contraceptive options is critical to fulfilling the human right to family planning. Yet too many women lack knowledge about, and access to, choices that work for them. 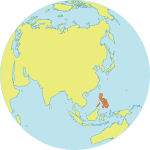 In June 2015, the Philippine Supreme Court issued a temporary restraining order that prevented the health department from procuring, distributing or administering contraceptive implants – a long-acting family planning method. 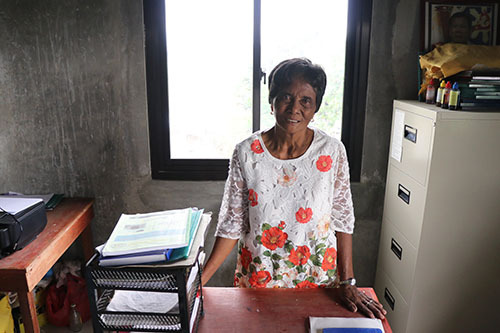 When the restraining order was lifted in November 2017, the implant proved popular, particularly among women from poor communities. 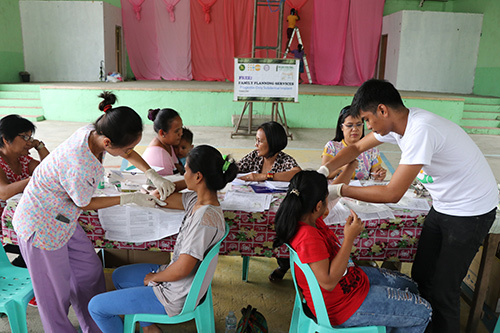 “We are working to ensure that every woman has the right to choose a family planning method that would suit her need so that no one is left behind,” said Klaus Beck, UNFPA’s representative in the Philippines. Indigenous women often live in geographically isolated areas with poor health services. They also tend to have fewer education and economic opportunities, which can limit their access to family planning. “I am very happy this family planning activity is happening at our community of Ugad,” said village captain Estelita Guiuo, 63, from the Ibanag indigenous community. 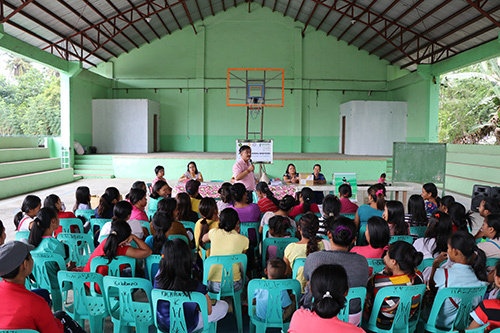 She smiled as the other Ibanag women received information about contraceptive implants. “While some women want to get pregnant, others might not. This is why it is very important that women have that choice,” she said. Interviews show that many women view family planning as a path away from poverty. This month, the world observed the 50th anniversary of the declaration that access to family planning is a basic human right. Voluntary family planning empowers women to continue their educations and enter the workforce, helping their families emerge from poverty. Yet hundreds of millions of women around the world have an unmet need for modern, reliable methods of family planning.